We've already reviewed it and seen it torn apart, and today we learned how much it'll cost you on AT&T. Now we have some Galaxy Note availability info for those of you in Canada: Best Buy has revealed that the LTE version of the tablet-phone will hit Telus and Bell for C$249.99 on February 14th with a three-year contract. The retailer says that the Note is available for pre-order today, though you'll have to go into a store to place your order. 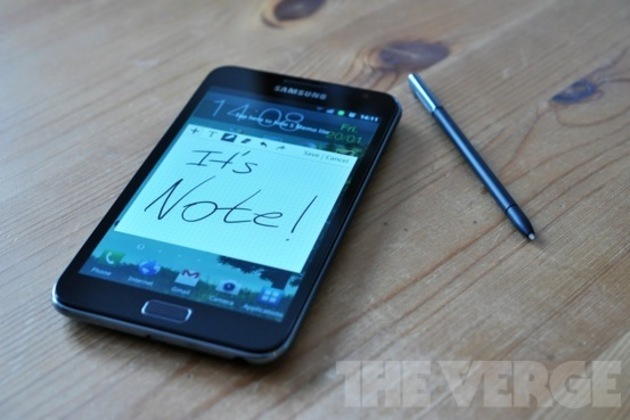 Best Buy's Galaxy Note page has Roger's logo on it as well, but unfortunately it doesn't give any more info. We'll let you know when we hear more.